You must be a member of the Singapore Italian Affair Group to attend this activity. Would you like to join this group? A little corner of Italy located in Singapore’s Bukit Timah district, Protected content is a charming eatery offering classic Italian cuisine and a cosy ambience. 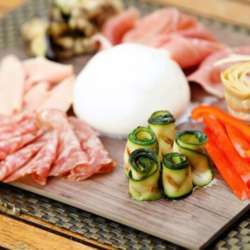 Tucked away on Protected content , this restaurant is quite a hidden gem, serving up a delightful range of pizzas, pasta, antipasti, meat, seafood dishes and a whole lot more. Please help by signing up only if you can make it. If you find you cannot make it please cancel your attendance, but try not to do it last minute.